Welcome to my Banners App review 2019! 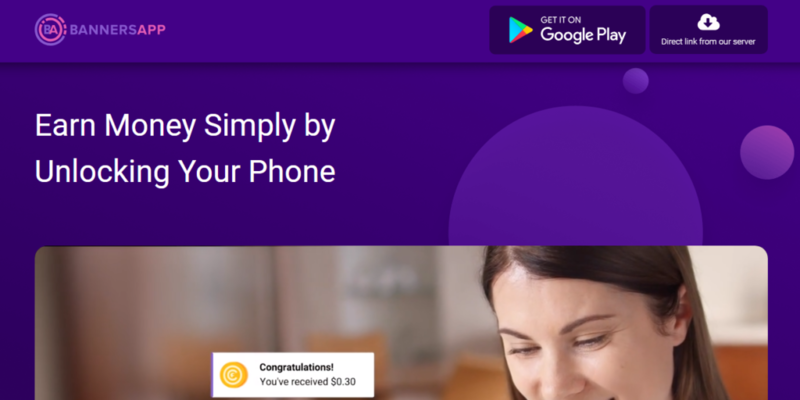 Banners App claims that you can earn money simply by unlocking your phone. The concept though interesting but does it fulfill its promises; this is the main question that is in your mind. No matter what the Banners App, the best way to corroborate their claims is to read the honest reviews on the internet. This is where I must congratulate you for taking your time to do your own research about Banners App. Let me be completely frank with you; I'm not affiliated with Banners App in any form. Instead, my purpose is to share with you the honest insight about this app. So I will cover all this; Is this app worth your time? And most importantly, is Banners App a legit or a scam? That’s all I will be covering in this review. Summary: Banners App is a product of FutureNet and you will earn money after unlocking your phone. When you unlock, you could see an ad and when you see it that task of watching one ad is completed. You need to watch 150 ads daily to earn a $5 per week. They have also offered a 5 levels referrals' commission and if you are good at recruiting people you can add more income per week. However, you will only be paid in the form of FutureoCoin, which is Future Net cryptocurrency. Rafal Szymanski is the person behind this concept, and he launched it in July 2018. He was also involved in another company in the past with the name of FutureNet which was launched four years ago as a six-tier matrix Ponzi cycler. In 2016 the company launched FutureAdPro, an ad credit Ponzi scheme. Last month FutureAdPro collapsed, Banners App appears to have been launched in the wake of FutureAdPro’s collapse. The App is created with the new concept, and it will reward you simply by unlocking your phone. After that, you will see banner ads which make you money. The app claims of earning $5 for a week so for a month you could expect $20. Initially, they set up 200 banner ads per day but having received too many complaints from the people they reduced the average number of banners to 150 per day, but you can still earn up to $5 a week! They set a limit of up to 15 banners per hour. It was done to reduce the amount of artificial traffic that is not needed by advertisers. The first step is to visit the Google play store and download this app. The good thing is it is free for everyone. Here you need to provide your username, password, email id, name, date of birth and referral code. Referral code is a code that you will get from your sponsor. After login to your account for the first time, you need to fill out profile questionnaires to let them know about your interests. They will then show you ads based on your interests. It includes information about gender, marital status, country, region, city, education, language, interests, salary, and professional direction. 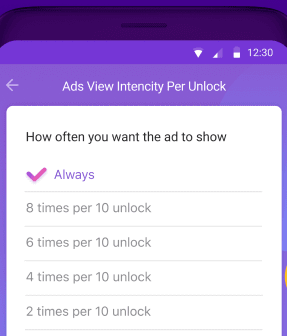 When you unlock your mobile screen, you will see an ad. You have the option to see this ad or skip it. In the dashboard, you can also see your daily ads activity. As said earlier, initially you have to watch 200 ads for earning $5 per week, but now they have changed it to 150 ads. To withdraw money, you need to create an account with the FTO. It is a cryptocurrency with the name of FuturoCoin. FTO and banners app is also under the ownership of FutureNet. So, you don’t need to expect your money in the form of cash rather you are rewarded in the form of FuturoCoins which you can sell them for money if you can. If any level 1 affiliate recruits new members, they are placed on level 2 of the original affiliate’s uni-level team. If any level 2 affiliates bring new members, they are placed on the 3rd level and so on to the fifth level. Yeah, that’s true! If you watch daily 150 ads, you are going to make $5 per week and $20 per month. It is something you don’t need any skill or other technical proficiency. Even a complete beginner can do it at home and make a few bucks per month. It is better to earn something than nothing. You also don’t need to spend money on it. You can increase your earnings if you refer other people under you. They pay up to 5 levels deep so if you have a good team those small pennies can add up pretty quickly. I don’t think that you can easily watch those ads. These can be irritating, and personally, I don’t like such ads to be seen again and again. To view 150 ads daily, you need to lock 150 times your mobile daily and unlock it. However, if you have time and want to earn some money from home, you can use this exercise to earn some additional income. Future Ad Pro was launched a few years back, and it is pretty similar to Traffic Monsoon. However, the program made significant changes recently which show that the Company is facing cash flow issues. The business model looks like a pure Ponzi scheme. So they refuse payments in bitcoin, ethreum or several other cryptocurrencies. 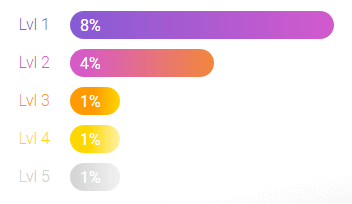 The only option they left for the people to withdraw via FuturoCoin (FTO). Please note that FuturoCoin is the cryptocurrency of FutureNet and it is also the only option in Banners app as well. As FuturoCoin is also their product and their main aim is to promote their cryptocurrency. You could expect a slight increase in the value of FTO, but in the long run, I don’t expect to invest in cryptocurrencies is a viable idea. It is also a purely Ponzi model, and if you are not aware of cyclers company, these are all working on the simple principle, i.e., bringing new people to fund old people. So, you can think about if you don’t be in people, there is no way to make money from such sites. Having looked at both companies; you get the idea that the group as a whole is not known for something that you should cheer about. But until I get into the system, I don’t know you have to view ads. So, both are different things altogether. Unlocking your phone is a thing you do you every day, maybe 30 times a day but watching ads is an extra exercise you need to do to earn money. Despite seeing those annoying ads which could take your few hours every day, you will get few bucks at the end of each month. I know if you are just a starter, it may be a good opportunity for you, but if you are looking for a larger amount, this is not the thing that you should be joined. I know if you know how to recruit people into this business you can make some good income, but the majority of the people don’t know how to do this. My another big concern about this company is that they only pay you in the form of FuturoCoin. You don’t expect to exchange your FTO coins very fast. This cryptocurrency is new and previously Future Ads Pro, and now Banners App are just created to pump its value. Meanwhile, on the backend, FutureNet keeps actual revenue (that they derived from the advertisers) generated through Banners App advertising. Banners App don’t disclose what ad network they’re using, but it seems to be a Cost Per Click (CPC) network. There’s no public interest in FuturoCoin outside of Future Net itself, so that will soon be collapsed. What you’re left with is a race to the bottom between Future Net affiliates, all trying to dump FuturoCoin onto each other as the value approaches $0. Honestly speaking, Banners app is a legit opportunity that you could use to earn few bucks each month. You could also increase your earnings if you know how to recruit. Despite all this, watching ads 150 times a day is a laborious work which I think can take up to a few hours. However, all of my concerns are based on my experience while working on many companies. The Company is solely created to pump its cryptocurrency FutureoCoin and the actual money they earned from the advertisers; they don’t share it with the people. If you want to make a sustainable income from home, I believe, Banners App isn’t the best option. I have also wasted my time on many other platforms in the past, but for real opportunity I recommend you to start an affiliate marketing business from home. Don’t worry if you don’t know how to do it I recommend you to see my #1 option, i.e., Wealthy Affiliate. Wealthy Affiliate is the only training platform that is running since 2005 and has a community of over i.4 million people, and it provides you with everything that you need to run an online business. What's your thoughts on my Bannera App review 2019 and if there is any question in your mind, please ask me in the comment section.